[Nightwave] The Wolf of Saturn Six Spawning and general system is one of the worst things I’ve seen implemented in Warframe. This is just something I wanted to get off my chest, and I most likely going to forget about this afterwards. I know there has been alot of complaints about the Wolf himself, alot of them I agree with. I was hesitant when I heard that he would spawn more and more as the weeks go on, but I wanted to see if it would actually happen. Unfortunately this ended up being"It's raining in the derelict" scenarios. My Problem with the Nightwave Field boss, more specifically in this case "The Wolf" is that the concept sounds cool, but the execution was done poorly. 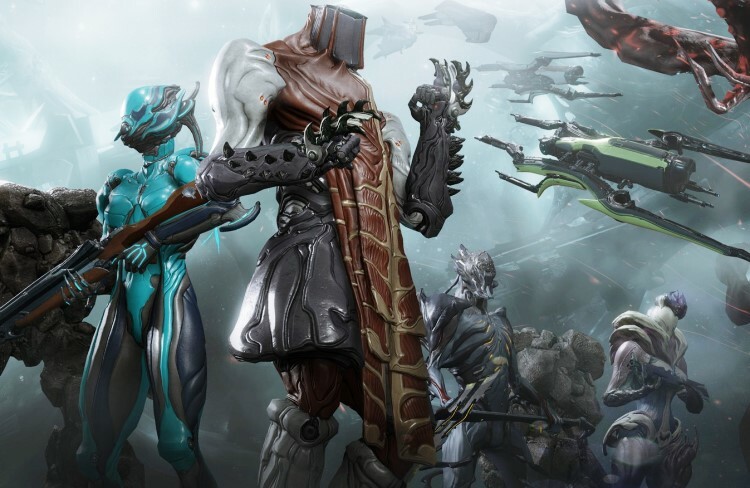 You have everything set up great, a cool host that expands on the lore of Warframe fleshing out the world. But since you added a story, where is the antagonist? It's like playing skyrim with no dragons ever showing in the main quest despite them being part of the plot. I haven't encountered the Wolf for over a month until, yesterday and after 8mins of shooting, you know what he dropped? A Molten Impact. But never mind my personal frustrations; let's talk about those who have in real life responsibilities, like work and family. Even with these, going over 10 weeks without seeing the wolf and not having a chance to get his parts is simply inexcusable. Nightwave itself is flawed just like the Wolf as it "rewards" people who have can devote hours upon hours playing warframe – And even then it's not guaranteed. I want to wait till the next Nightwave before I really critique it, but the only thing I have to ask is there needs to be a way for people to catch up before the 10 weeks is up, perhaps letting the Nightwave challenges accumulate would be a start because one of the best things about Warframe is that you aren't forced to play, you can jump in and play catch up at anytime. Nightwave completely changes that. But I Digress. The Wolf of Saturn is one of the worst things I've seen implemented in Warframe. You removed Alerts and somehow added a even WORSE system to replace it. A super ultra rare spawning, bullet sponge boss with a diluted drop table that is time limited. Why. This boss, no matter how you do it, is clearly designed for players who aren't newbies. Before this Nightwave is over, Wolf of Saturn needs a 100% guaranteed way to encounter him and there needs to be a choice for those who may or may not want to fight him and future nightwave bosses. This current system is really not working for nightwave bosses and they need their own system, most likely something similar to the Acolytes. So you can keep your droptables but at least we can actually fight them and everyone can have a chance to get their parts, instead of leaving everything to layers and layers of RNG. Note: And it doesn't matter if Wolf is coming back. I rather not have more Dilution when it comes to Nightwave Bosses spawning. © Post "[Nightwave] The Wolf of Saturn Six Spawning and general system is one of the worst things I’ve seen implemented in Warframe." for game Warframe. An Open Letter: Dear DE have you been thoroughly playing and testing your own game?